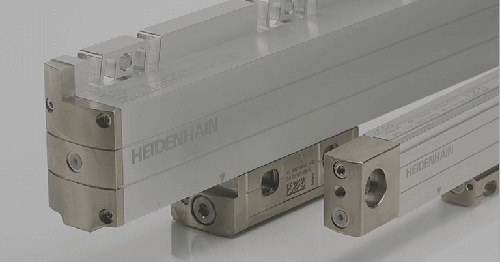 The expansion of the HEIDENHAIN facilities in Germany significantly reduces the door-to-door time (defined as the time from when the order for the first component is placed until the entire assembly is delivered). 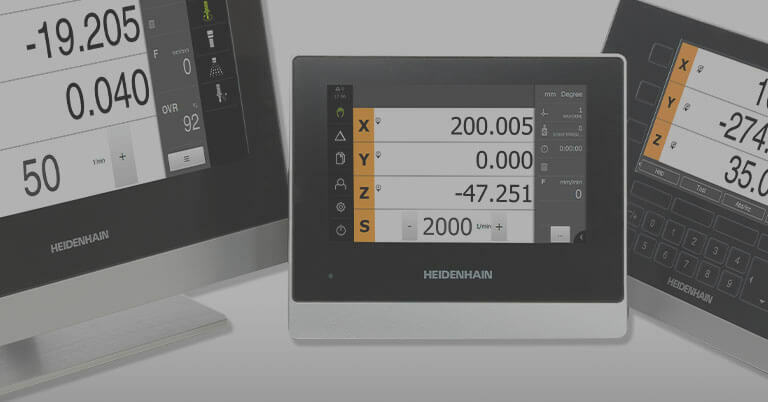 Unnoticed by many, a large amount of production has come to take place in Hochreit, Germany, joining HEIDENHAIN’s main warehouse for trade-show equipment and parts of the apprentice training department that were already there. 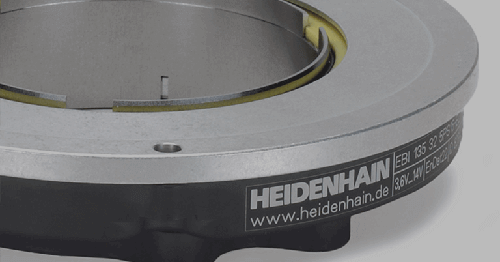 Approximately 150 employees in Hochreit are currently occupied with the manufacture of high-precision metal components for angle encoders, magnetic measuring devices, touch probes, and exposed linear encoders. A comprehensive machine shop covering approximately 6800 m2, almost all of which is temperature-controlled to within a ±1° C, in halls 11 and 12 is available for this purpose. 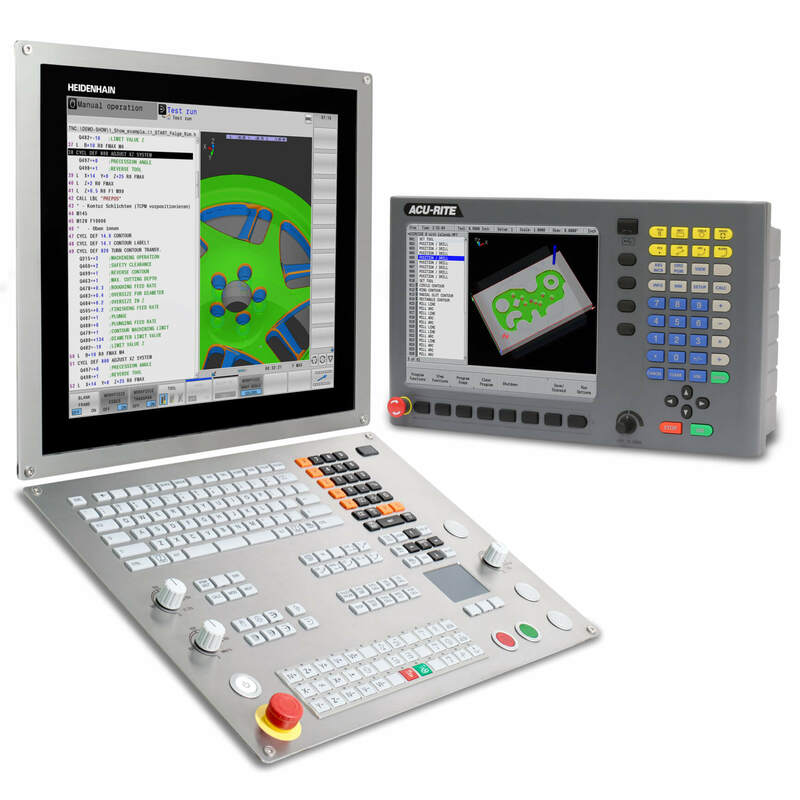 Along with the three classical production methods of turning, milling, and grinding, one also finds vacuum hardening, laser welding, honing, lapping, polishing, immersion cleaning and several other specialized technologies for the manufacture of precision parts. 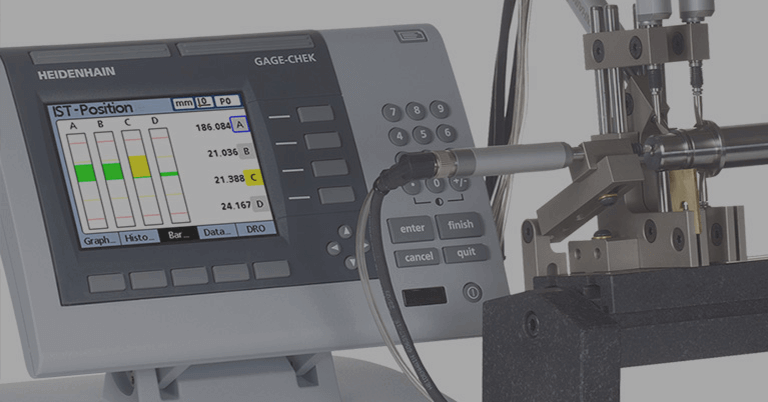 Furthermore, there are several 3-D coordinate measuring machines, profile measuring devices, for various other particular types of equipment for quality assurance. 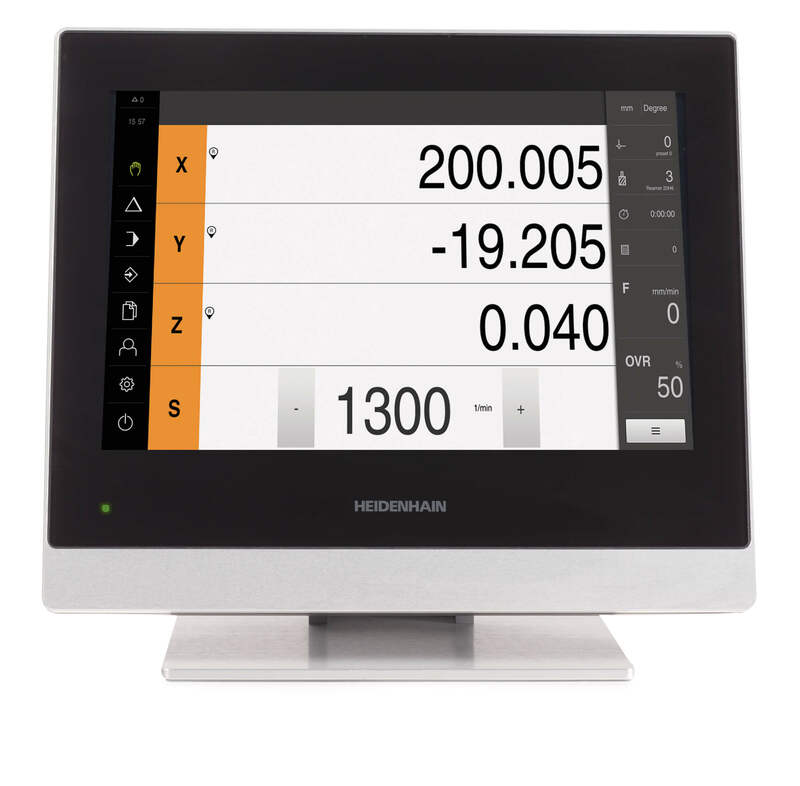 While designing Hochreit as a production site, great emphasis was not only placed on having the most modern equipment, but also on it being organized effectively. The workstations are structured into production lines. 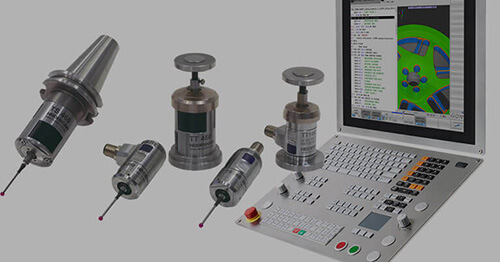 Each piece of equipment is present in each line, and is positioned in the sequence most logical according to the flow of materials, so as to manufacture an entire assembly and perform the necessary measuring and inspection tasks. • This way, the door-to-door time (defined as the time from when the order for the first component is placed until the entire assembly is delivered) can be reduced significantly. 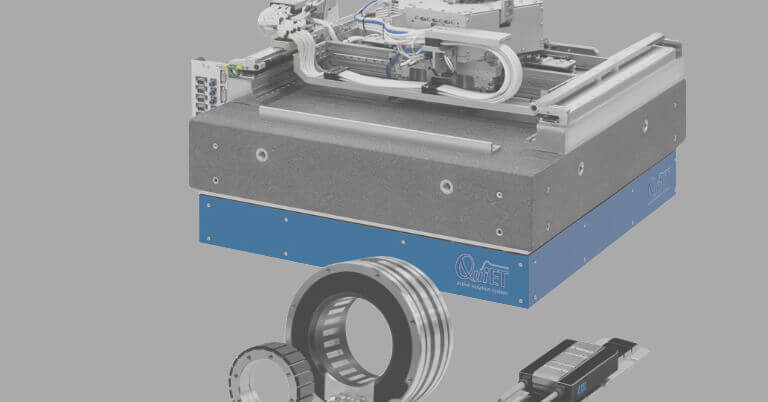 • Since each line is only used to machine a defined spectrum of parts, the equipment can be reconfigured quickly for the economically efficient production of small lots. Small lots run through each station in the production process quicker, lowering the door-to-door time. Another positive effect is that the transport times between the various machining stations are nearly completely eliminated. • A further advantage is that all workstations of a line come under just one person’s responsibility, meaning that problems in coordination can be avoided. After all, gathering the knowledge of all processed involved in the production of an entire assembly in one location leads to a continual increase in quality. • The physical well-being of the colleagues in Hochreit is naturally also assured. Cold and warm meals are brought to the Hochreit cafeteria daily from HEIDENHAIN’s company restaurant. • A third production hall (H14) is already being built. Some areas of glass processing will be housed there.